Originally published by Solidarity International. 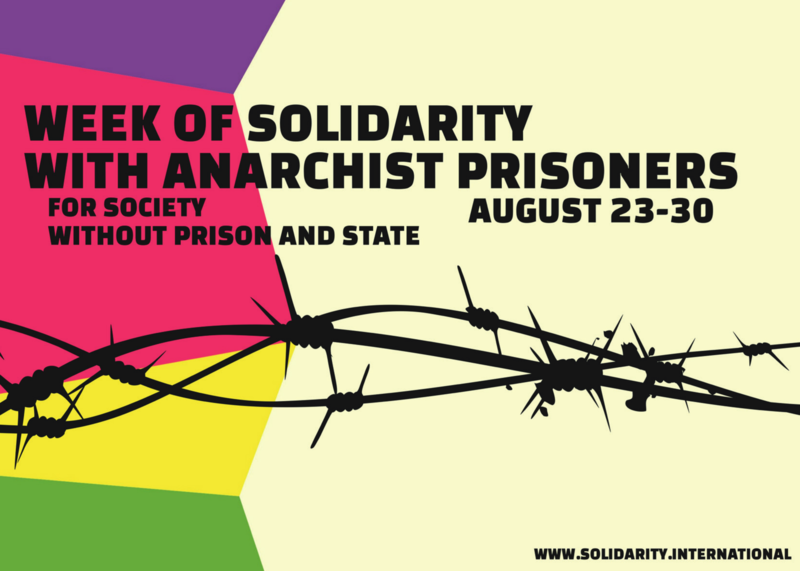 Flyposter: International Week of Solidarity for Imprisoned Anarchists – August 23-30 – Enough is Enough! #Brazil: Call for an independent materials fair – Activity of the sixth international week for anarchist prisoners – Enough is Enough! The Hague, #Netherlands: Banners in solidarity with anarchist prisoners – Enough is Enough!